- two formats with reducing masks put in the back when not in use. 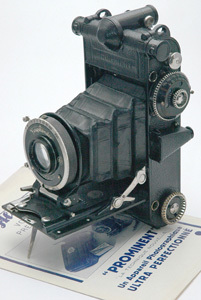 - optical finder with hinged mask to change format. - spouts to evacuate the air out of the camera when bellows open or close. 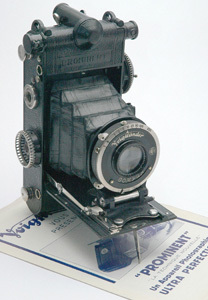 Only 5 cameras made with a Turbo shutter 1/400, due to a poor reliability.